So where does Arbonne fit in? Its a botanically based health and beauty brand, which (including make up) uses botanically based ingredients in scientifically tested products, based on a pure and healthy lifestyle. So this isn’t hippy dippy products – they are based on science too which I like, a lot. The first time I heard of it was actually through a model I did make up on for a shoot, she had warned me that normal make up doesn’t sit very well on her because she uses Arbonne and lead a completely chemical free life. I didn’t quite understand what she meant until the makeup was literally melting off and sinking in to her face and I had to re apply it every 20 minutes. Apparently this is quite common of people who have changed over to the natural life. So I’m all for natural ( It must be healthier for everyday make up?) , but I do love all things synthetic too (obviously being a make up artist) – So I was curious to know how these would sit on me. 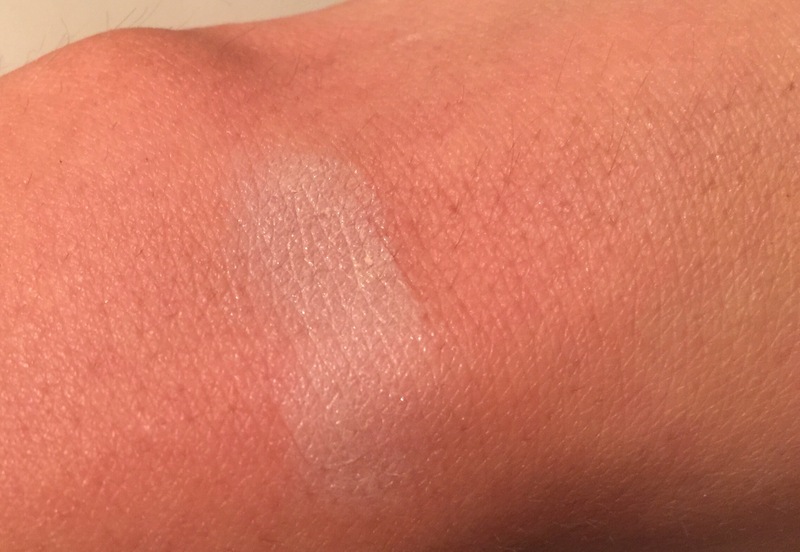 For underneath the shadow, if I’m making up a client I always use a primer, this is the Prime & Proper Eye Makeup Primer £21– as you can see here I’ve used it underneath the left swatch, the colour is deeper and locks on for much longer. 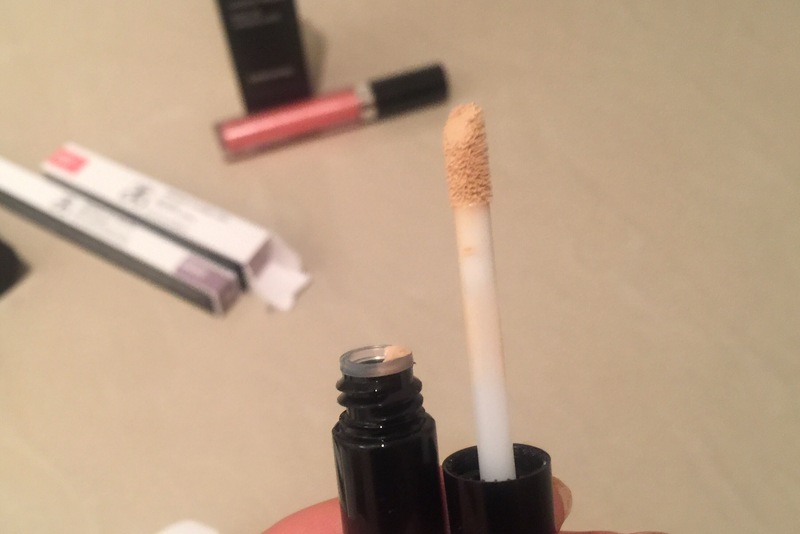 The texture is similar to that of a non- natural brand and had a nice neutral colour that brightens the eyes before making up which I really like. Its water resistant and massively helps fading and creasing. 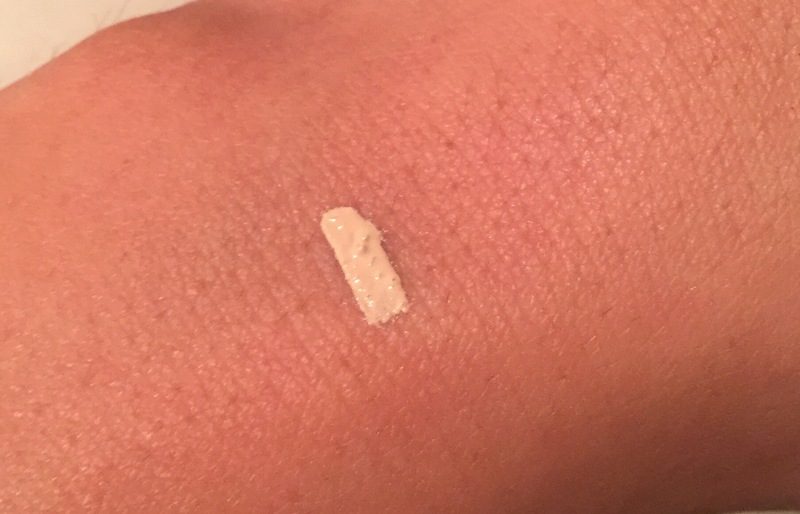 If I’m prepping a client I always use a face primer – Not all face primers have a nice texture though, but this makeup primer £29, really does. 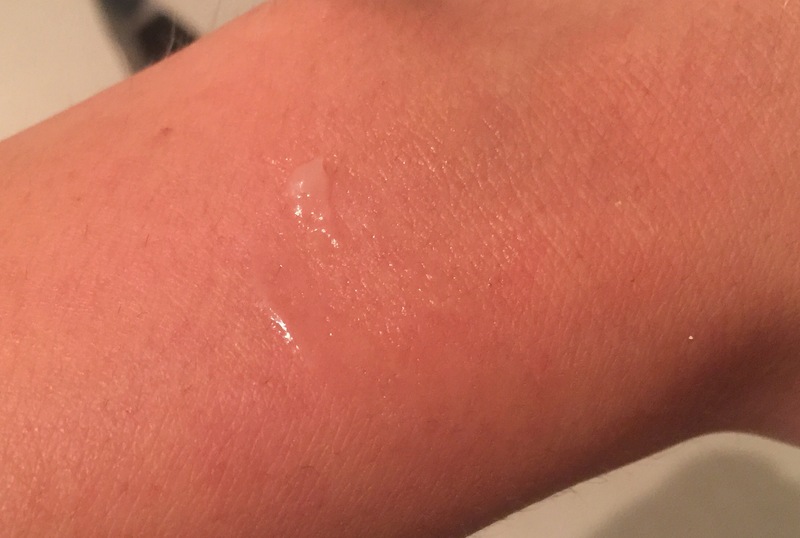 It feels very slippy to the touch and smooth, it glides on to the skin and isn’t overly drying or oily which makes it the perfect all rounder. It’s also completely colourless so good for all tones. It also works by hyaluronic filling spheres that help ‘blur’ fine lines and pores so they are less noticeable The pump makes it really easy to use. 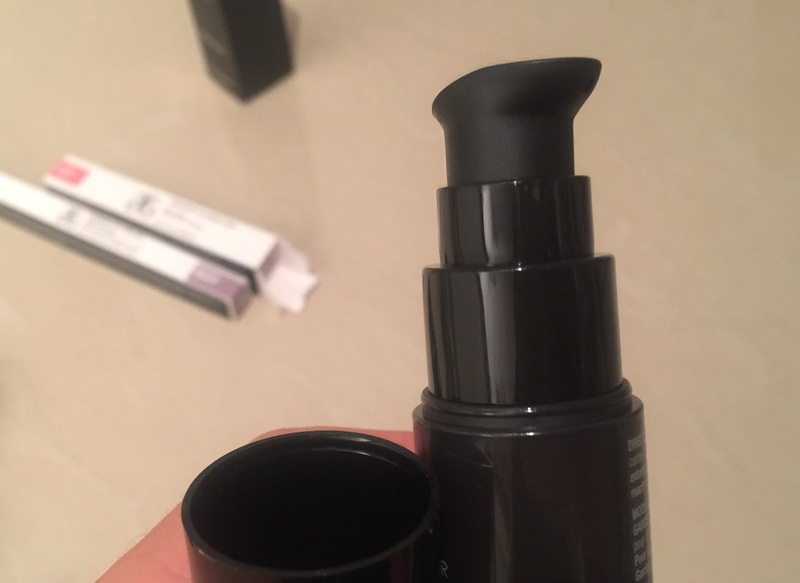 I love when products have a pump! 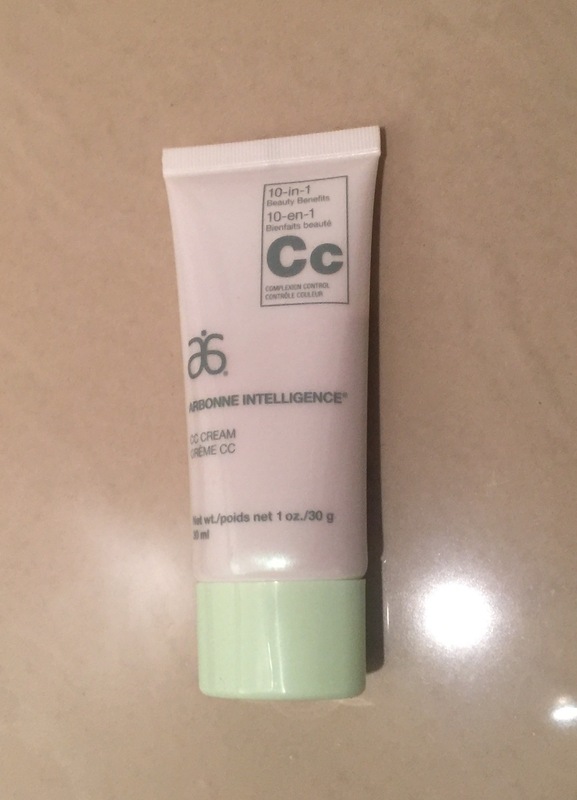 Arbonne Intelligence CC Cream £31 – A really nice dewey texture – It was quite light but offered some coverage. 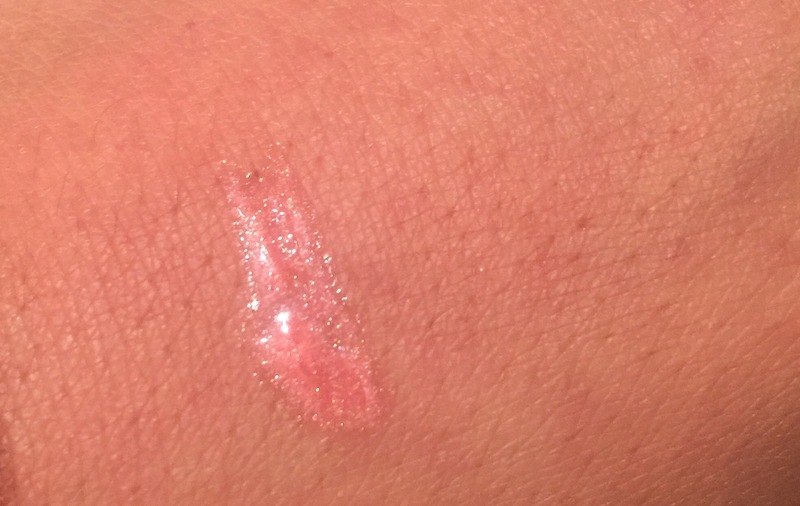 Looked really nice and glowey on the skin! 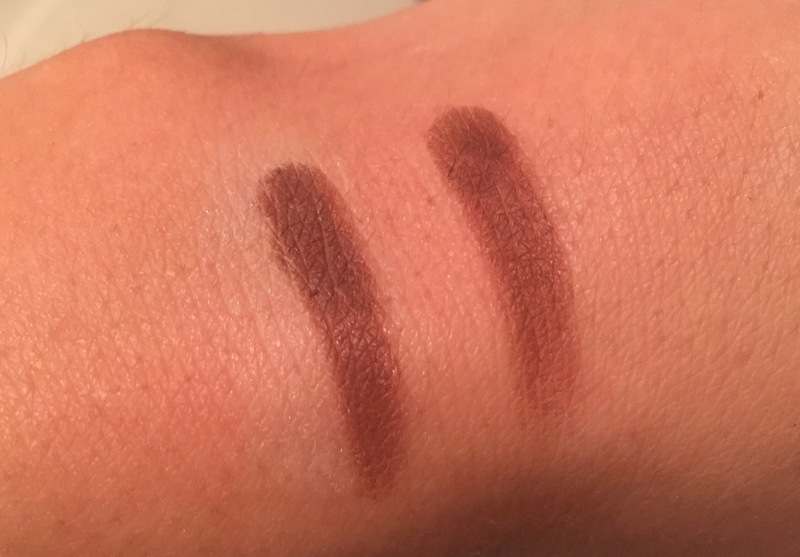 – You can see below the swatches of fair, medium and dark – the Dark actually makes such a nice liquid bronzer of medium olive skin tones too! 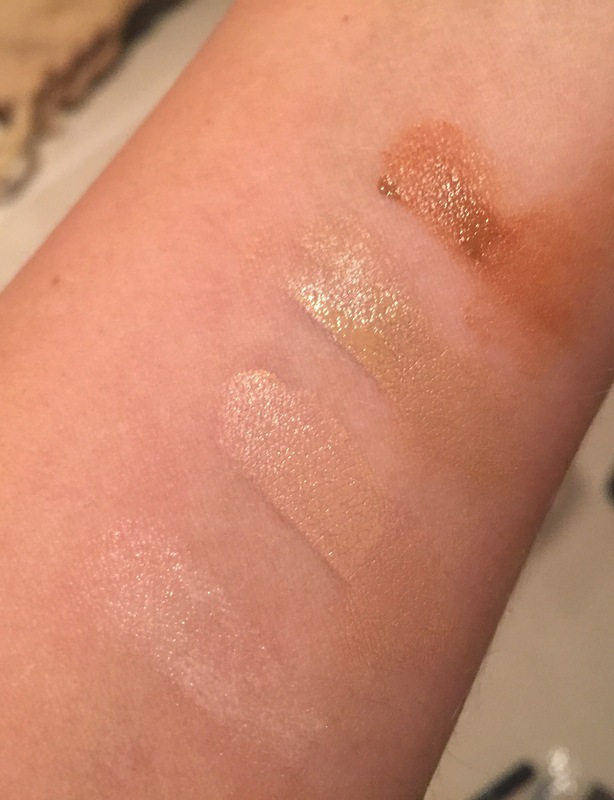 Next to it to the left is the Sheer Glow Highlighter £34 which looked AMAZING mixed with it. This isn’t one for the full coverage lovers but for those who just want a bit of buildable smoothing and colour – this is for you! It’s All in the Eyes Eye Shadow £13 each – Designed to be highly pigmented and long lasting. The colours where surprisingly strong for a ‘natural brand’ and had some gorgeous finishes too! 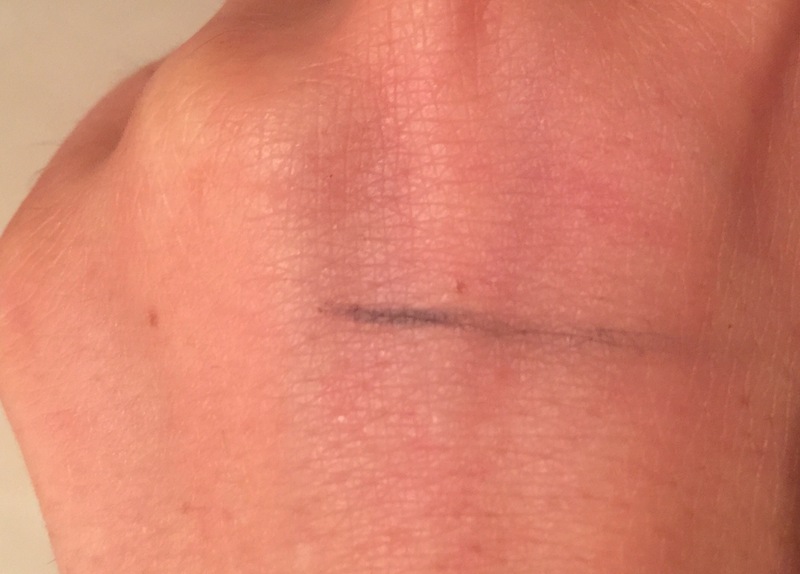 Below you can see the swatches – this was just ONE swipe of the finger so you can see how pigmented they really are! I will list here in order – My favourite was the Opal – Its gorgeous! 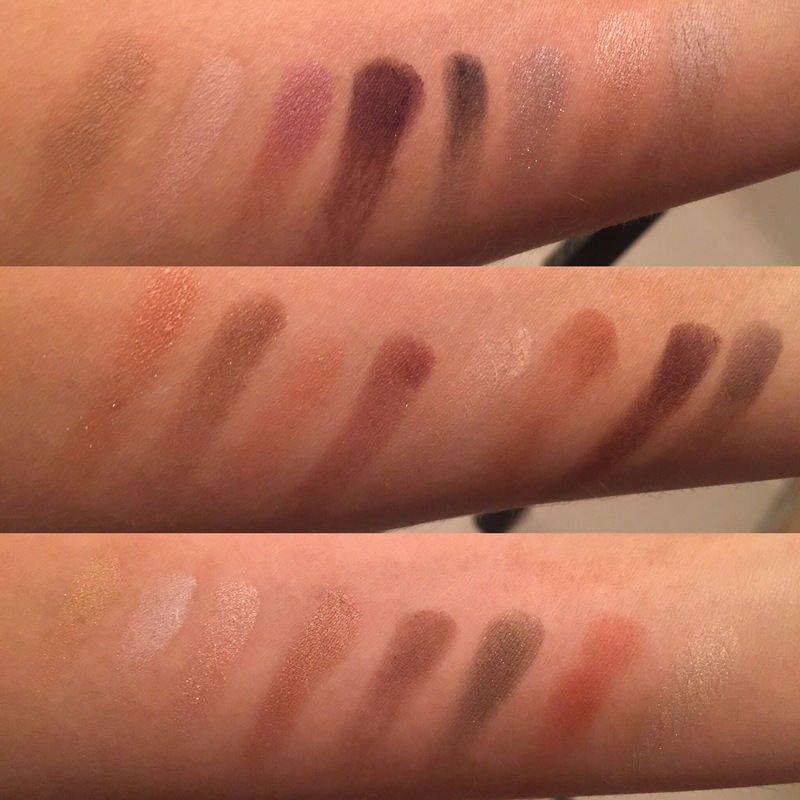 Arbonne eyeshadow swatches Left top to bottom right; Oak, Quartz, Aurora, Storm, Onyx, Monsoon, Dawn, Pebble, Amber, Henna, Sunstone, Sequoia, Fog, Sienna, Truffle, Solar, Slate, Opal, Bluff, Driftwood, Forest, Canyon, Mist. The eyeliners again and really pigmented and have a nice range of shades for those who like a natural define too. 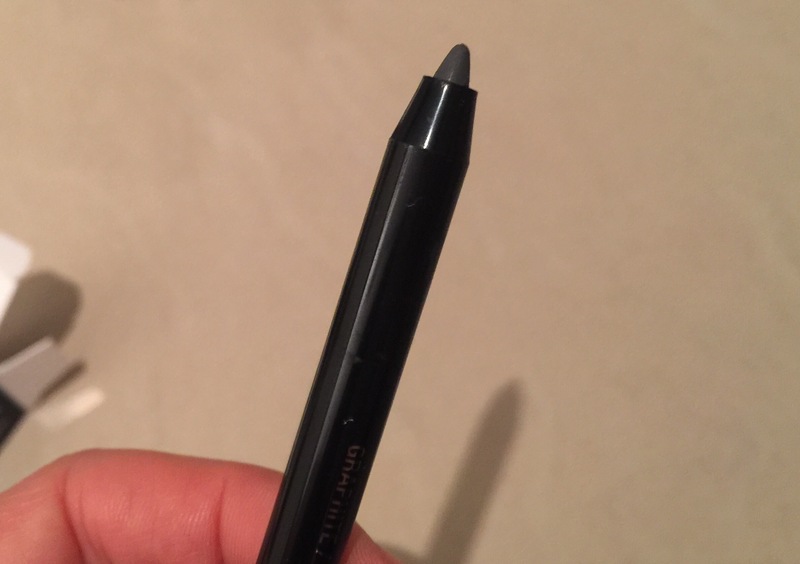 This is the It’s A Fine Line Pencil Eye Liner– Graphite £21 which is really nice for a smokey grey look. It’s long lasting on the eyes as well as really soft and smooth to smudge! 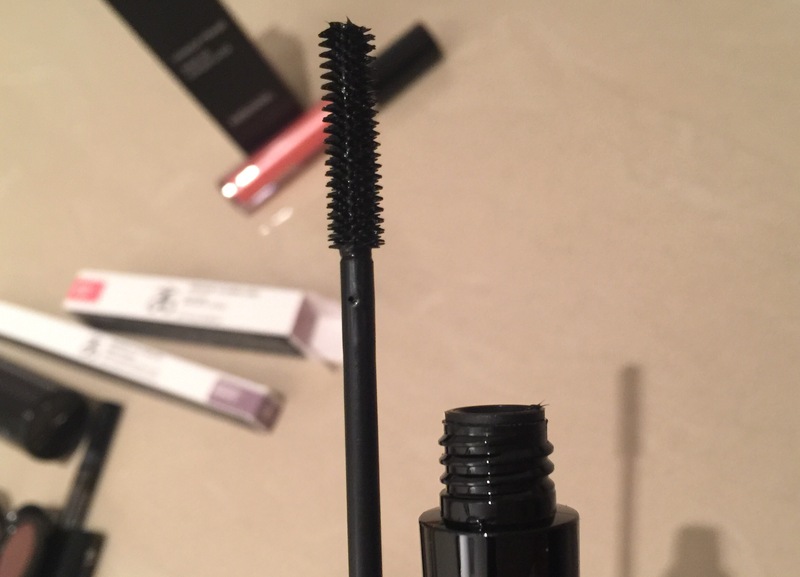 Next up is the It’s a long story mascara £28 – you can see here the brush is really separated which gives a great lengthening and defined finish to the lashes. It’s a nice natural black colour too, not too black so is good for all skin tones as well as day time wear. Its also water resistant ( not waterproof – which is HORRIBLE tuff to get off) so its the best of both worlds. For the lips I tried the Glossed Over Lip Gloss, in Linden £19 which is ultra shiney and nice and thick without being too sticky! 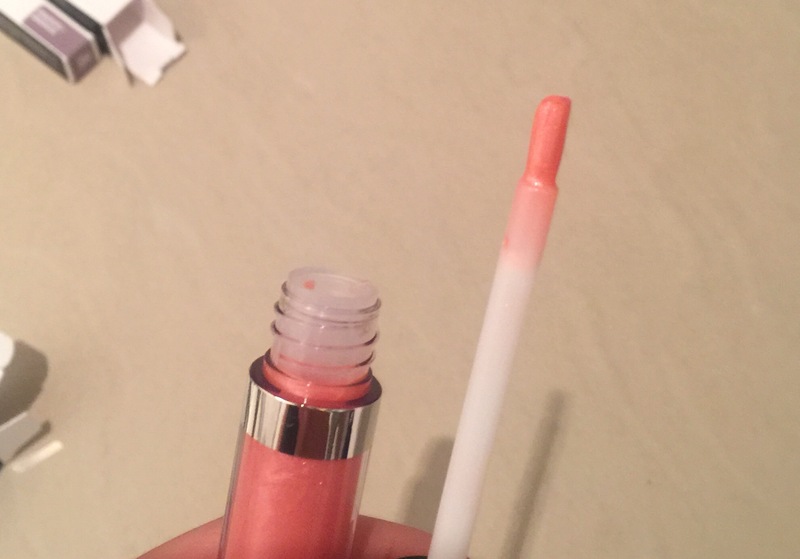 It has a really nice 3d shimmer to it which gives your pout a nice plump look. So, whats my verdict?? – Well I’m VERY pleasantly surprised. In my head, although I really want to love plant based make up, so many products I have tried have fallen short that it now has a bit of a second rate reputation with me. But Arbonne has actually pulled it out of the bag, the products can sit up there performance wise with high quality regular make up and they are better for your skin too!….so I will definitely be adding these to my make up bag and I will be proud to use them! I hope this has helped those of you who have been interested in this brand before and if you want to try any of the products for yourself click here or if your on Facebook – you can see it from Katie Deacon here.